The celebrated imminent repatriation of $321 million stolen by Sani Abacha, former military ruler, has run into a storm with suspicious moves that may amount to “re-looting the loot” through the backdoor. With the fees settled, all that was left for the money to be returned to Nigeria, TheCable understands, was for Abubakar Malami, Nigeria’s attorney-general, to sign an MoU with the Swiss authorities and commit to an undertaking that the funds would be properly utilised. Previous repatriations were reportedly mismanaged with no obvious benefits for the people of Nigeria, a development that stalled further return of recovered loot to the federal government. However, in a suspicious move, Malami went ahead to engage two Nigerian lawyers to act on his behalf in a deal that will further cede at least another 4% as commission and professional fees from the recovered funds. The Nigerian lawyers, Oladipo Okpeseyi, a senior advocate, and Temitope Isaac Adebayo, were engaged in 2016 apparently to duplicate the job of the Swiss lawyers and get their own cut from the already done deal. Incidentally, Okpeseyi and Adebayo were lawyers to the Congress for Progressive Change (CPC), the legacy party of President Muhammadu Buhari. Malami was legal adviser to CPC. A senior official of the ministry of justice told TheCable that “this is a case of re-looting Abacha loot”. “A simple letter from the office of our attorney-general of the federation to the Swiss attorney-general requesting the repatriation of the funds to Nigeria consequent upon the signing of an MoU was all that was required to consummate the deal,” the official said. The official compared this to the recent Paris Club refund scandal in which governors said they engaged the services of consultants — for a fee of N10 billion — to calculate what was due to the states. “The commissioners of finance from the 36 states of the federation could have sat down with the accountant-general of the federation as well as the minister of finance to calculate the Paris Club refunds to be made to the states. They do this every month with respect to federation allocation,” the official said, explaining the analogy. TheCable requested — under freedom of information (FoI) — from the office of the attorney-general information on: the agreements were between the federal government of Nigeria and the Abachas which led to the eventual withdrawal of the prosecution of Mohammed Abacha; and why another lawyer was appointed after Monfrini had completed the recovery job. The office of the attorney general of the federation, the custodian of the FOI act, received TheCable’s request on December 8, 2017, and at the time of this report, it was yet to respond. 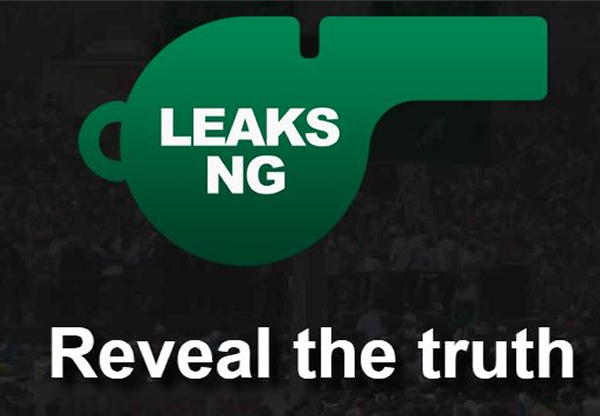 An official in the information department advised that TheCable request for an interview with the attorney-general as most of them do not have the needed details. All efforts to speak to the attorney-general on the latest developments have proved abortive. Messages to his phone were also not replied and calls were neither picked nor returned. Working with then-attorney-general of Nigeria, Mohammed Adoke, Monfrini traced about $321 million to Liechtenstein and Luxembourg. Malami — at an event on asset recovery organised by civil society organisations (CSOs) — announced that the government had concluded plans to sign an MoU with the government of Switzerland for the release. This MoU, Malami explained, is focused on meeting Nigeria’s obligation on the transparent management of returned assets. At this year’s global forum on asset recovery in Washington, DC, a tripartite agreement was signed by representatives from Nigeria, Switzerland and the World Bank, who is to play an oversight function. Monfrini, the Swiss lawyer hired by the Nigerian government in 1999 to work on recovering the Abacha loot, was asked by TheCable on the appointment of new lawyers. Recovering Abacha’s loot is one of his celebrated cases. “I don’t know why the federal government of Nigeria decided to appoint other lawyers,” Monfrini replied TheCable in an email exchange over the deal. He explained that since September 1999, there had been no breach in the agreement he signed with the Nigerian government. “Upon the election of President Buhari, the newly appointed minister of justice and attorney-general, Malami, appeared to prefer using the services of other lawyers in Nigeria and elsewhere,” he said. When contacted, Okpeseyi told TheCable he was already on holiday and would not be able to comment on the issue. From 1993 to 1998, Sani Abacha — who was Nigeria’s military head of state — reportedly stole about $5 billion from the nation’s treasury. At the request of the democracy in 1999, Switzerland had frozen about SFr1.4bn suspected to be part of the loot. In 2001, three years after Abacha’s death, Mohammed Abacha, the former ruler’s eldest surviving son, was indicted for money laundering by a Geneva prosecutor. An investigation had shown that Abacha and one Nigerian businessman were co-conspirators in the theft of Nigeria’s public funds. Georges Zecchin, the investigating judge, disclosed that Swiss bank accounts containing SFr750m had been frozen as a result. At the time, Nigeria’s government was making efforts to recover $4 billion in assets that Abacha and his family allegedly stashed in Switzerland and other countries in Europe. About a decade later, Abba Abacha, another son of the late ruler, was sentenced by a Geneva court. Abacha, the court announced, had been part of the family structure built by their late father to steal from Nigeria’s treasury. He reportedly used false identities and passports to open over 30 bank accounts in Switzerland, Luxembourg, Liechtenstein and the Bahamas to stash his father’s loot. The Swiss government had reportedly returned about $700 million — money frozen in accounts linked to Abacha — in installments to the Nigerian government. In 2005, an MoU was signed by both countries that the recovered funds must go into health, education projects and infrastructure developments.